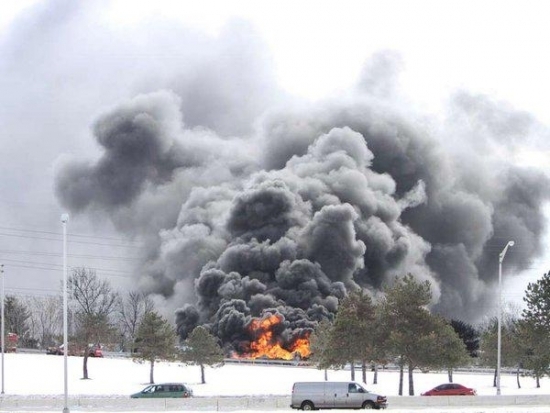 A tanker truck carrying over 8,000 gallons of gasoline turned over and exploded in Pennsauken, NJ this morning. It happened at 11:00 am on the off-ramp from Route 90 to Route 130 near the Betsy Ross Bridge. The truck driver was able to escape before the truck exploded into flames. The nearby neighborhoods were evacuated as a precaution. Neighbors reported hearing several explosions and a huge plume of black smoke darkened the skies. Firefighters dealt with the wind and the cold and were able to get the fire under control. The roadway was damaged from the hea of the fire. The ramp remained closed as crews worked to clear the debris and repair the road. The cause of the crash remains under investigation. Phillies Second Baseman Chase Utley addressed the media for the first time this year at Spring Training in Clearwater. Before the press conference officially got under way, the usually reserved Utley was having a little fun and attempting to capture a panoramic shot of the reporters with a cell phone. He uttered a frustrated "F@#$" when the photo wasn't working for him and then implored if they were “live.” Well, no not live, but tape was rolling... During the actual conference he was asked about his future with the team. Utley said, “I want nothing more than to play for this organization for as long as I can now.” He also admitted to spraining his ankle last month by stepping on a ball, but that it is getting better. West Philadelphia's "Ice Palace" or "Ice Castle" was torn down this afternoon. 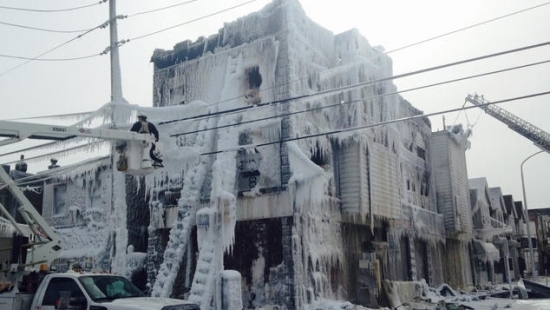 The former Locust Medical Center at 52nd and Locust Streets became encased in ice as firefighters fought a blaze in the early morning hours of February 16th. The single digit temperatures froze the water used to quench the flames to everything in the area. Area residents have been wary of the structure, worried the weight of the ice would bring it crashing down. Since last week it had become a tourist attraction for spectators and photographers wanting to view it before it either melted or was demolished. A man and woman were arrested in Bordentown, NJ, after police discovered a makeshift meth lab in their hotel room. 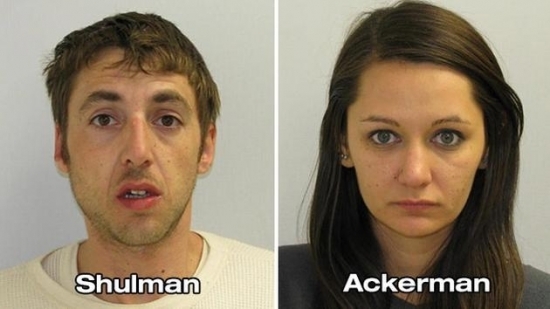 32 year-old Benjamin Shulman and 29 year-old Dana Ackerman have been charged with various drug offenses. Police officers were performing a patrol check at the Econo Lodge Inn & Suites around 11 p.m. on Sunday night when they smelled marijuana coming from one of the rooms. Inside the room they found chemicals and glass vials presumably for the production of methamphetamine. They also recovered small amounts of marijuana and heroin and other drug paraphernalia. Clear Skies, temperatures dropping through the teens this evening, going down to 6 overnight in Center City.